I have been watching this channel on youtube. Really cool stuff. So many neat things I could see 3d printing. Anyone ever come across some cool 3d prints of science puzzles, illusions, or toys? If you could 3d print something, what would you print? Keep in mind you would have to build the model of it which means you would have to know how to model or have an existing mode downloadable online. I would like to print my Bike's metal body parts. I am having some rough knowledge of 3D metal printing. The technology that I have to use behind it must be Selective Laser Melting (SLM) utilizing CAD software package. In fact I am currently working on it. In the initial stage now. Collecting thesis and researching on how to progress on my work. If somebody could help me, then its well and good. Just saw the toroflux for the first time. What a cool toy. I was trying to figure out it if would be possible to 3D print. Closest I have found so far to how it is made is this. Any ideas how someone would 3D print something like that? 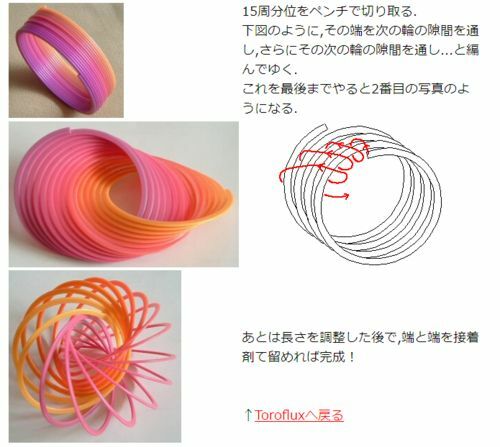 It looks like I might be able to 3D print a slinky. I wonder how well it would work. And if it does print, it doesn't look round enough to work. I might try it this weekend. An update on this. I did get a full slinky printed out after a few test runs but it was too hard to separate. It broke every time I got about 2 coils separated. I know I could get it if I kept trying but the time wasn't worth it currently to finish that project. I did print a golden spiral gear toy though. I still haven't finished that either but putting screws in it for axles. The teeth of the gears are a little bit loose toward the middle as you can see. The original file needs to be stretched a tad to get them meshed nice the full rotation through.